This is a common use-case which every developers out there will encounter one day or another..I feel you all !!!! Well how about in Flutter??? Hmmmmm….. Builds a widget tree that can depend on the parent widget’s orientation (distinct from the device orientation). Orientation Builder has a builder function to build the layouts. This builder is called when device orientation changes. Values of Orientation — Orientation.portrait or Orientation.landscape. Landscape Mode and Portrait Mode, here being the widgets…. We are using the Animated Containers here. Flutter provides some very handy widgets which are animated out of the box when a property is changed which is called “implicit animation”. One such widget is Animated Container. The Flutter logo, in widget form. This widget respects the IconTheme. For guidelines on using the Flutter logo, visit https://flutter.io/brand. horizontal — Show Flutter’s logo on the left, and the “Flutter” label to its right. 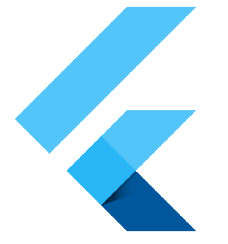 stacked — Show Flutter’s logo above the “Flutter” label.